We are in the emergence of a new age. The age of the remote worker. For the first time in history, our careers and income no longer need to be governed by our geographic location. 10 years ago, tools like Skype, FaceTime, Dropbox and Google Docs didn't exist. 10 years ago accessing e-mail via a cell phone was a revolutionary idea. 10 years ago many people still were using dial up! Today, these tools are second nature to us, yet so many of us fail to take advantage of this opportunity. Instead of working 51 weeks out of the year for that one week of vacation, why not work remotely and turn your life into one huge adventure? For the past seven months I have been working remotely in Mexico, Philippines, Vietnam and Thailand. I do this through a very simple method. Figure out a skill that you can do from your computer. Any skill that can be done without face to face contact. Some examples include: Graphic Design, Web Design, Animation, A/V Production, Copywriting, Social Media, Bookkeeping, Virtual Assistant, Search Engine Optimization, Computer Programming, Consulting, etc. If you don't have a skill already, learn one. There is an endless supply of affordable education online for any topic you can imagine. For my journey, I decided to learn web development. I had some experience in web design in the past, although I knew I needed to learn more to do this professionally. I hopped over to Lynda.com and took courses on HTML, CSS, Wordpress and a handful of other online tools. In a couple months, I was rocking out responsive sites like no ones business. Lynda is an amazing resource. They have every piece of software and computer programming language on their site from Microsoft Word to the most advance 3D animation programs. When I wanted to learn audio production, I used Lynda. When I wanted to learn video production and animation, I used Lynda. When I wanted to learn web development, I used Lynda. I freaking love this site. It is about $25 per month, although you can sign up for a free 10 day trial if you want to test the waters first. Once you learn a skill, the next necessary step is to have someone pay you for that skill. Below I outline the steps and tactics I used to start landing my first remote clients. Once you learn your new skill, you need a portfolio piece. This is more important than a website or any amount of marketing you can do. A high quality portfolio piece from a happy client is the most important element in making sales. If you can't get someone to pay you, then do something for free. Find a friend or a colleague in need of your service, do it for them and do an amazing job. After you finish the project, ask the client to write a testimonial for you. Once they write their testimonial, put it into a nice document that you can send to prospective clients. 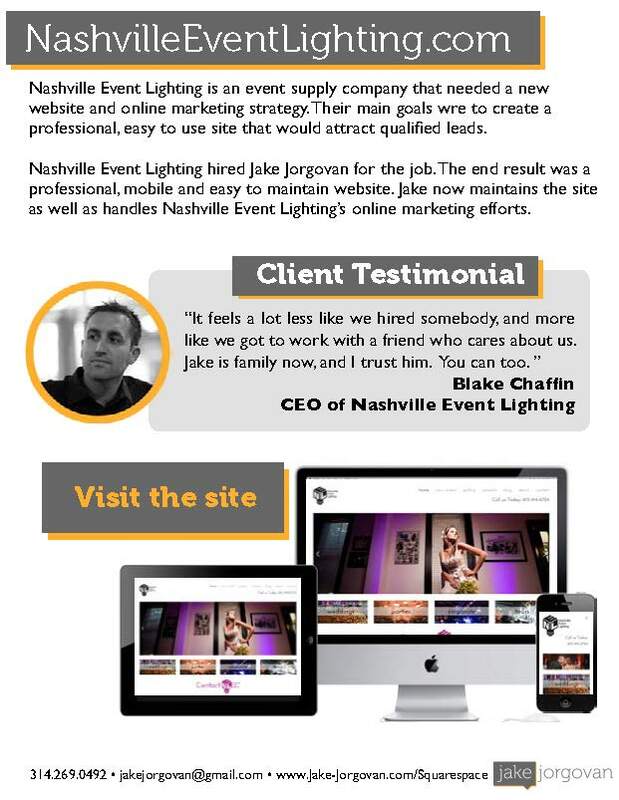 Here is an example of a case study that I use to get clients for my web design business. If you don't have Adobe InDesign or have the graphic design skills, then put something together in Microsoft Word. The most important thing is that you have a bold testimonial from that client praising your work, and a quality portfolio piece to show off. Once you have learned this new skill, go out to your network and let them know what you have to offer. Send out your case study to your friends and colleagues. Show them what you have done and ask if they know anyone in need of a similar service. You will be amazed at the random relationships or places that job referrals can come from. At the start, don't be greedy. Take what you can get and keep building up your portfolio. Over time, the jobs will get bigger, your past clients will begin to refer you, and you will see your business grow. This has been one of my most effective tactics in landing new remote working clients. In September I e-mailed 120 prospects who had horrible websites. I sent them a case study to a past project and a nice e-mail letting them know I was available to help with their site if they needed it. In total I spent about 10 hours sending out those e-mails, plus periodic follow ups over the next few months. I ended up closing 4 clients from those cold e-mails that generated enough income to cover my cost of living in Mexico for two months. Cold e-mailing works, and when your current network has nothing for you, this can be a great place to secure new clients. Believe it or not, you can actually make great money as a contractor on sites like oDesk, Elance and Guru.com. Within just a few weeks of setting up my profile, I was making over $1000 in weekly income just from oDesk. These sites are not just for people to outsource projects at low dollar amounts, there are quality clients on there looking to pay good money for freelancers who can communicate well and have the skills that they need. Once you have landed your first few clients, you will feel the momentum. Take the plunge, buy a one way ticket to somewhere awesome, and make the move. If you are going to do it, I recommend starting somewhere cheap. When you are starting a business or freelance career, your biggest expense is going to be your own living. The cheaper the cost of living in a country, the lower your overhead. Once you make the move and settle in. Keep e-mailing people, keep up with your old relationships, but most of all have a freaking awesome time. I have been in Mexico for just over a month now and life is absolutely amazing. I work during the days, while enjoying the beautiful view out my apartment window. At night and on the weekends, I enjoy everything Mexico has to offer. Making the move to work remotely has truly been a life changing experience. There you have it, that is my high level guide on how to travel the world and work remotely. My hopes are that this post has laid out the basic steps to building a career that will allow you to work remotely. I promise it is not as hard as you think and it is completely within reach. If you want to travel the world, and work remotely then start working toward it today.